Strong, fully welded 25mm tubular steel frame. Independently tested to 300kg capacity. Platform size 550 x 400mm with toe boards. Braking system incorporates a "no access" handle when unbraked. Outboard wheels for greater stability. Blue as standard - red available to special order. Painted metal or slip resistant PVC treads. 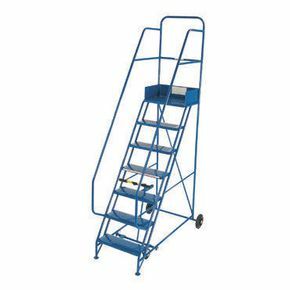 Self-assembly versions of these steps, for ease of transportation, are available to special order, please ring our sales team on 0800 294 4440 for details. Industrial warehouses can be challenging environments to work in; supplying employees with appropriate equipment is vital, especially when they are working at height. These industrial warehouse steps, from Slingsby, are a great addition to assist employees in efficiently performing their daily tasks. They are strong with a 15mm welded tubular steel frame and they have a load capacity of 300kg, making them ideal for when heavy items are being placed or removed. There is a handy platform to give the user a bigger area to work from when at the top of the steps. The braking system incorporates a 'no access' handle which bars access when disengaged. Outboard wheels offer greater stability and they also assist in better manoeuvrability of the steps. 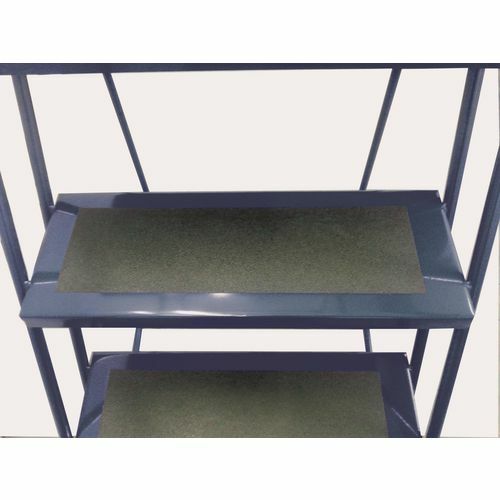 They are available in eleven platform heights from 1250mm to 3750mm and there is a choice of sheet steel treads, punched for drainage, or anti-slip PVC treads, to suit your environment. 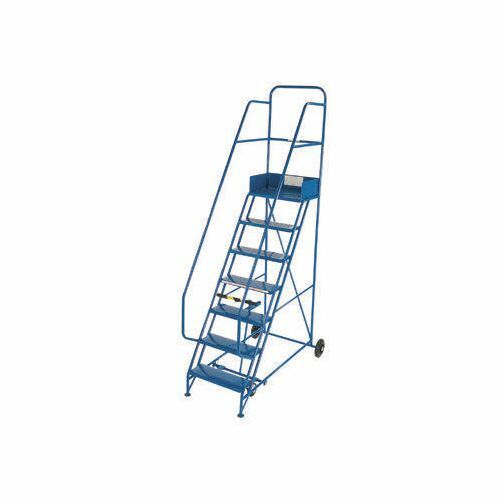 Our industrial warehouse steps are a great addition providing a great way for your employees to work efficiently and safely. They come with a 12 month guarantee and FREE UK Delivery.